There were seasons of change in culture. There were Civil Rights to be won and legislation that would assist. And there was a war, the Vietnam war, that caused divide. It was a decade of turmoil that saw one President shot, another with the fatigue of war, and a third, who would not last until the end of his terms. President Lyndon Johnson at Cam Ranh Bay, Vietnam, 10/26/1966. Pictured with General William Westmoreland, Lt. General Nguyen Van Thieu, and Prime Minister Nguyen Cao Ky of South Vietnam. Photo: White House Photograph Office. Courtesy National Archives. 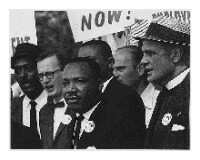 Martin Luther King, with Mathew Ahmann, at the Civil Rights March on Washington, D.C., August 28, 1963. Photo: U.S. Information Agency, Press and Publications Service. Courtesy National Archives. Seniors. Don't forget the America the Beautiful Senior Pass, formerly known as the Golden Age Passport, the over 62 years of age admittance pass to you, your spouse, and family to hundreds of National Park Service sites, including Rocky Mountain National Park above. At only $10, this one time fee, is one of the great bargains in historic travel. Pick one up at the nearest National Park or Monument. Photo above: Astronaut John Glenn pictured above with President John F. Kennedy looking inside the Mercury Space Capsule in 1962. Courtesy National Archives. 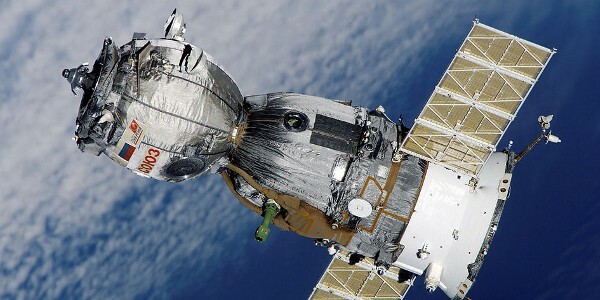 Right: Soyuz TMA-7 Spacecraft. Courtesy NASA. February 1, 1960 - Four black college students from North Carolina Agricultural and Technical College in Greensboro, North Carolina stage a sit-in at a segregated Woolworth lunch counter, protesting their denial of service. This action caused a national campaign, waged by seventy-thousand students, both white and black, over the next eight months, in sit-ins across the nation for Civil Rights. April 1, 1960 - Tiros I, the first weather satellite, is launched by the United States. Twelve days later, the navigation satellite, Transat 1-b is launched. April 1, 1960 - The 1960 census includes a United States population of 179,323,175, an 18.5% increase since 1950. For the first time, two states, New York and California have over fifteen million people within their borders. The geographic center of the United States is located six and one half miles northwest of Centralia, Illinois. May 1, 1960 - In the Soviet Union, a United States U-2 reconnaissance plane is shot done by Soviet forces, leading to the capture of U.S. pilot Gary Powers and the eventual cancellation of the Paris summit conference. On August 19, Powers is sentenced by the Soviet Union to ten years in prison for espionage. On February 10, 1962 , he would be exchanged for a captured Soviet spy in Berlin. July 4, 1960 - The fifty star flag of the United States is debuted in Philadelphia, Pennsylvania, reflecting the admission of Hawaii into the union in 1959. November 8, 1960 - The presidential race to succeed two term president Dwight D. Eisenhower is won by Senator John F. Kennedy, the Democratic candidate from Massachusetts, over incumbent Vice President Richard M. Nixon. Kennedy was a narrow victor in the popular vote, by slightly more than 120,000 votes, but won a more substantial victory in the Electoral College tally, 303 to 219. 62.8% of the voting age population took part in the contest. The 1960 campaign for president had seen the first televised debate on September 26. January 3, 1961 - Disputes over the nationalization of United States businesses in Cuba cause the U.S. Government to sever diplomatic and consular relations with the Cuban government. February 15, 1961 - The entire United States figure skating team is killed in a plane crash near Brussels, Belgium on their journey to the World Championships. Seventy-three people are killed. April 17, 1961 - The Bay of Pigs invasion of Cuba is repulsed by Cuban forces in an attempt by Cuban exiles under the direction of the United States government to overthrow the regime of Fidel Castro. May 5, 1961 - The first U.S. manned sub-orbital space flight is completed with Commander Alan B. Shepard Jr. inside a Mercury capsule launched 116.5 miles above the earth from Cape Canaveral, Florida. Twenty days later, President Kennedy announces his intention to place a man on the moon by the end of the decade. August 13, 1961 - The construction of the Berlin Wall begins by the Soviet bloc, segregating the German city, previously held in four sectors by Allied forces, including the United States. The wall would last for twenty-eight years. December 28, 1961 - The National Park Service extends its lands into the U.S. Virgin Islands when President John F. Kennedy proclaims the Buck Island Reef as a National Monument. The reef includes an underwater nature trail and one of the best marine gardens in the Caribbean Sea. February 7, 1962 - The first sign of a looming Vietnam conflict emerges when President Kennedy admits that the military advisors already in Vietnam would engage the enemy if fired upon. February 20, 1962 - Lt. Colonel John Glenn becomes the first U.S. astronaut in orbit in the Friendship 7 Mercury capsule. He would circle the earth three times before returning to earth, remaining aloft for four hours and fifty-five minutes. This flight equalized the space race with the Soviet Union, whose Vostok I flight on April 12, 1961 with Yuri Gagarin had become the first manned spaceflight into orbit one year earlier. April 21, 1962 - The Seattle Century 21 Exposition, the first world's fair held in the United States since World War II, opens under the theme of space exploration. Over 9.6 million visitors would attend the exposition over 184 days in central Seattle, whose monorail still travels inside the city. October 1, 1962 - Three thousand troops quell riots, allowing James Meredith to enter the University of Mississippi as the first black student under guard by Federal marshals. 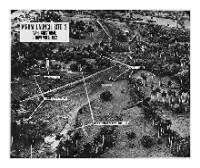 October 14, 1962 - The Cuban Missile Crises begins. In response to the Soviet Union building offensive missiles in Cuba, President John F. Kennedy orders a naval and air blockade of military equipment to the island. An agreement is eventually reached with Soviet Premier Khrushchev on the removal of the missiles, ending the potential conflict after thirty-eight days, in what many think was the closest the Cold War came to breaking into armed conflict. March 21, 1963 - The last twenty-seven prisoners of Alcatraz, the island prison in San Francisco Bay, are ordered removed by Attorney General Robert F. Kennedy, and the federal penitentiary is closed. June 11, 1963 - A patent for the first manned space capsule, the Mercury, is issued to Maxime A. Faget, Andre J. Meyer, Jr., Robert G. Chilton, William S. Blanchard, Jr., Alan B. Kehlet, Jerome B. Hammack, and Caldwell C. Johnson, Jr.
June 17, 1963 - The Supreme Court of the United States ruled in the case of Abington School District vs. Schempp that laws requiring the recitation of the Lord's Prayer or Bible verses in public schools is unconstitutional. The vote was 8 to 1. July 25, 1963 - The United States, Soviet Union, and Great Britain agree to a limited nuclear test-ban treaty, barring all nuclear testing above ground. August 28, 1963 - The Civil Rights march on Washington, D.C. for Jobs and Freedom culminates with Dr. Martin Luther King's famous "I Have a Dream" speech from the steps of the Lincoln Memorial. Over 200,000 people participated in the march for equal rights. August 29, 1963 - A peaceful settlement to the land dispute between Mexico and the United States is enacted with the signing of the Chamizal Treaty, establishing the boundary in the El Paso Juarez Valley. The dispute, which had been ongoing for ninety-nine years, is now commemorated by the Chamizal National Memorial in El Paso, Texas. November 22, 1963 - In Dallas, Texas, during a motorcade through downtown, President John F. Kennedy is mortally wounded by assassin Lee Harvey Oswald. 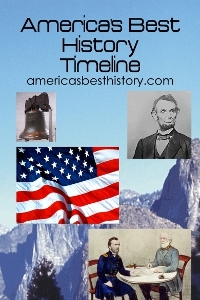 Vice President Lyndon B. Johnson is sworn into office later that day. Two days later, Oswald was himself killed on live national television by Jack Ruby while being transported in police custody. January 9, 1964 - The Panama Canal incident occurs when Panamanian mobs engage United States troops, leading to the death of twenty-one Panama citizens and four U.S. troops. January 13, 1964 - Beatlemania hits the shores of the United States with the release of I Want to Hold Your Hand, which becomes the Liverpool group's first North American hit. One week later, their first U.S. album Meet the Beatles is released. February 25, 1964 - 1960 Olympic champion Cassius Clay (Muhammad Ali) wins the World Heavyweight Championship in Boxing from current champ Sonny Liston. April 22, 1964 - The New York World's Fair opens in Queens, New York on the site of the 1939 event. One of the largest world's fairs in United States history, it was not a sanctioned Bureau of International Exhibitions event, due to conflict over the dates of the Seattle fair of 1962. This world's fair would last for two seasons, and included exhibits from eighty nations. Over 50 million visitors would attend. Its theme structure, the Unisphere, is still present, now seen each August outside the U.S. Tennis Open. July 2, 1964 - An omnibus legislation in the U.S. Congress on Civil Rights is passed. It banned discrimination in jobs, voting and accommodations. August 7, 1964 - The Tonkin Resolution is passed by the United States Congress, authorizing broad powers to the president to take action in Vietnam after North Vietnamese boats had attacked two United States destroyers five days earlier. November 3, 1964 - President Lyndon B. Johnson wins his first presidential election with a victory over Barry M. Goldwater from Arizona. Johnson extended the Democratic victory by former running mate John F. Kennedy with a 486 to 52 thrashing of the Republican candidate in the Electoral College and over 15 million surplus in the popular vote. February 7, 1965 - President Lyndon B. Johnson orders the continuous bombing of North Vietnam below the 20th parallel. March 25, 1965 - Martin Luther King speaks at a civil rights rally on the courthouse steps of the Alabama State Capitol, ending the Selma to Montgomery, Alabama march for voting rights. August 6, 1965 - The Voting Rights Act of 1965 is signed into law by President Lyndon B. Johnson. Two significant portions of the act; the outlawing of the requirement of potential voters to take a literacy test in order to qualify and the provision of federal registration of voters in areas with less than 50% of all voters registered. August 11, 1965 - The Watts race riots in Los Angeles begin a five day siege, culminating in the death of thirty-four people and property destruction in excess of $200 million. October 15, 1965 - The first public burning of a draft card occurs in protest to the Vietnam War. It is coordinated by the anti-war group of students, National Coordinating Committee to End the War in Vietnam. Kevlar is developed by Dupont scientist Stephanie Louise Kwolek. She would patent the compound, used extensively in bullet proof vests, in 1966. June 29, 1966 - United States warplanes begin their bombing raids of Hanoi and Haiphong, North Vietnam. By December of this year, the United States had 385,300 troops stationed in South Vietnam with sixty thousand additional troops offshore and thirty-three thousand in Thailand. July 1, 1966 - Medicare, the government medical program for citizens over the age of 65, begins. September 9, 1966 - President Lyndon Johnson signed legislation creating the San Juan Island National Historical Park. The site, in Washington State, includes the location of British and United States army camps in the 1860s when both nations claimed ownership of the island. October 15, 1966 - The National Historic Preservation Act is made law. It expanded the National Register of Historic Places to include historic sites of regional, state, and local significance. November 8, 1966 - The first black United States Senator in eighty-five years, Edward Brooke, is elected to Congress. Brooke was the Republican candidate from Massachusetts and former Attorney General of that state. January 15, 1967 - The first Super Bowl is held in Los Angeles between the Green Bay Packers and the Kansas City Chiefs with Green Bay winning 35-10. Over fifty one million people watch on television. January 27, 1967 - The Outer Space Treaty is signed into force by the United States, Great Britain, and the Soviet Union, to take effect on October 10, 1967. June 23, 1967 - A three day summit between President Lyndon B. Johnson and Soviet Premier Alexei Kosygin, held at Glassboro State College in New Jersey, culminates in a mutual declaration that no crises between them would lead to war. July 1967 - Black riots plague U.S. cities. In Newark, New Jersey, twenty-six are killed, fifteen hundred injured and one thousand arrested from July 12 to 17. One week later, July 23 to 30, forty are killed, two thousand injured, and five thousand left homeless after rioting in Detroit, known as the 12th Street Riots, decimate a black ghetto. The riots are eventually stopped by over 12,500 Federal troopers and National Guardsmen. October 2, 1967 - Thurgood Marshall is sworn into office as the first black Supreme Court Justice. January 23, 1968 - The U.S.S. Pueblo incident occurs in the Sea of Japan when North Korea seizes the ship and its crew, accusing it of violating its territorial waters for the purpose of spying. They would release the prisoners on December 22, but North Korea still holds possession of the U.S.S. Pueblo to this day. February 13, 1968 - Ford's Theatre, the site of the assassination of President Abraham Lincoln in 1865 in Washington, D.C., reopens to the public. It had been restored to its original appearance and use as a theatre, now comprising the Ford's Theatre National Historic Site. March 31, 1968 - President Johnson announces a slowing to the bombing of North Vietnam, and that he would not seek reelection as president. Peace talks would begin May 10 in Paris; all bombing of North Korea halted October 31. April 4, 1968 - Civil Rights leader Martin Luther King is assassinated in Memphis, Tennessee while standing on a motel balcony by James Earl Ray. June 5, 1968 - Presidential candidate, the Democratic Senator from New York, Robert F. Kennedy, is shot at a campaign victory celebration in Los Angeles by Sirhan Sirhan, a Jordanian, after primary victories, and dies one day later. November 5, 1968 - Richard M. Nixon recaptures the White House from the Democratic party with his victory of Hubert H. Humphrey and 3rd Party candidate George Wallace. Nixon captures 301 Electoral College Votes to 191 for Humphrey and 46 for Wallace. January 12, 1969 - The New York Jets win Super Bowl III over the Baltimore Colts after a bold prediction by quarterback Joe Namath. This is the first victory in the National Football League for a former American Football League team. January 25, 1969 - Four-party Vietnam war peace talks begin. 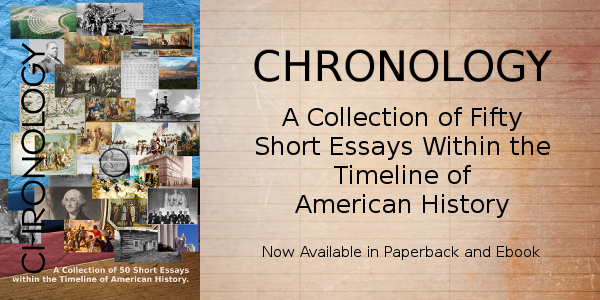 In April, U.S. troops in the war reached its zenith at 543,400 and would begin their withdrawal on July 8. July 20, 1969 - The Apollo program completes its mission. Neil Armstrong, United States astronaut, becomes the first man to set foot on the moon four days after launch from Cape Canaveral. His Apollo 11 colleague, Edwin E. Aldrin, Jr. accompanies him. 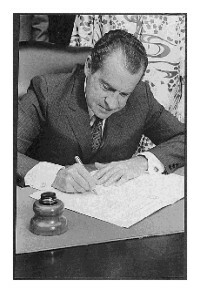 July 25, 1969 - President Richard M. Nixon announces his new Vietnam policy, declaring the Nixon Doctrine that expected Asian allies to care for their own military defense. This policy, and all Vietnam war policies, would be heavily protested throughout the remainder of the year. On November 15, 1969, more than two hundred and fifty thousand anti-Vietnam war demonstrators marched on Washington, D.C. to peacefully protest the war. November 20, 1969 - Alcatraz Island, the former prison in San Francisco Bay, is occupied by fourteen American Indians in a long standoff over the issues of Indian causes. November 21, 1969 - The Internet, called Arpanet during its initial development, is invented by the Advanced Research Projects Agency at the U.S. Department of Defense. The first operational packet switching network in the world was deployed connecting the IMP at UCLA and the Stanford Research Institute. By December 5, it included the entire four node system, with the UCSB and the University of Utah. 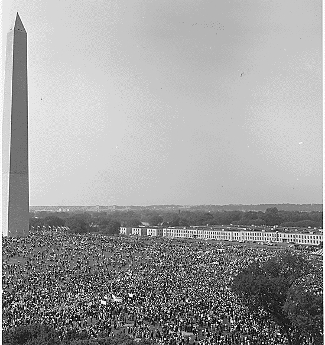 Crowds of the Civil Rights March in Washington, D.C. surround the Washington Monument. August 28, 1963. Courtesy National Archives. San Cristobal, Cuba. Aerial photo of the Medium Range Ballistic Missile Launch Site, Number Two. Photo: Department of Defense, November 1, 1962. Courtesy National Archives. President Richard Nixon. Courtesy National Archives.